Supercaz Super Sticky Kush is the high performance bar tape of choice for world champions and gold medallists. Fusing performance and style, Supacaz delivers the first bar tape worth dreaming about. They boldly claim that Super Sticky Kush is the best bar tape ever. Because it delivers the tackiest/best hand feel and is the only cleanable high-end tape. It's the most durable, high-end tape with super bright, exclusive colors. The 100% aluminum bar plugs are an exquisite touch while the matching finishing tape completes the package. Super Sticky PU (top layer): Long lasting performance that stays looking new. Extremely tacky yet cleanable advanced polyurethane. Highly resistant to UV rays, climate, and sweat. Comfort Kush Foam (middle layer): Exclusive Compound that maximizes the Kush from the thinnest amount of foam. Shock absorbing qualities that improve bike handling in the downhill and rough conditions. Nano Thin Adhesive (bottom layer): This adhesive delivers ultimate stick and no added weight. 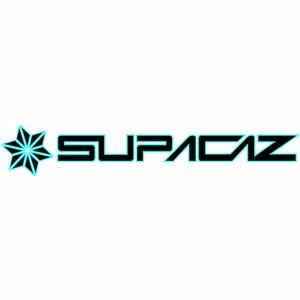 Hand Stitched: Supacaz’s multi-colored tape hand stitched for maximum strength and durability.